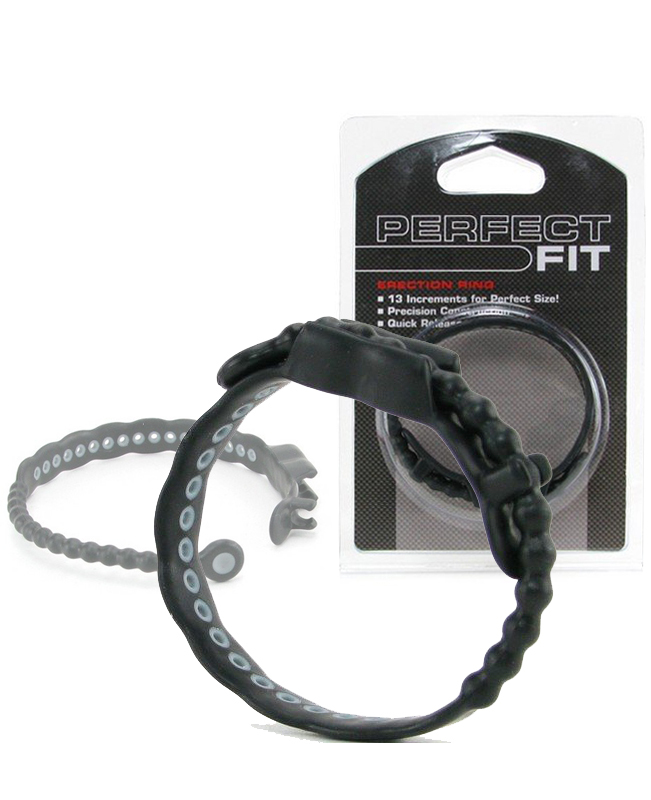 This Erection Ring is full of surprises with its adjustable quick release tab and seventeen different size adjustments. You never have to worry about this ring not fitting; you just simply change the tab, so it truly is one size fits all. Not to mention if you have a friend over, you don’t have to go digging through your closet to find one that fits; this one will do the trick. The Erection Ring is safe with all lubes. Wash thoroughly with mild soap and water.